Want the best for your kid's party? Customers ask her back year after year! Your child deserves the best and so do you, so avoid disappointment and book Auntie Julie TODAY. Auntie Julie was born in Watford and brought up around the Watford and Pinner area. 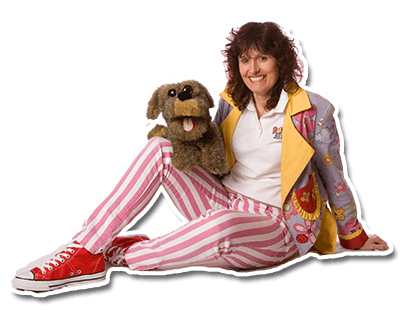 She began entertaining children in about 1999 with a company called Just Games, with a friend from Harrow. Julie started performing around Watford, Harrow and Pinner but as her good reputation spread soon travelled further afield, taking her parties to Hillingdon, North London and Hertfordshire. She then joined the Watford Association of Magicians and in 2005 was accepted into The Magic Circle. 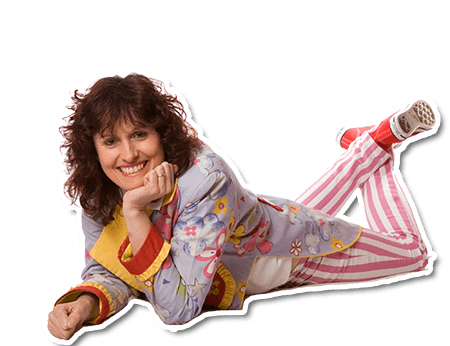 Julie now performs over 200 children’s magic shows a year. Whether you are looking for a birthday party entertainer or have a family gathering then Auntie Julie will be right for you. Julie has her own special blend of entertainment. She entertains the party children with magic, illusions, puppets and balloons. Younger guests enjoy her energetic dance routines and mini disco and the really young children enjoy singing nursery songs. Each age group presents its own challenges and Auntie Julie has built up a reputation amongst her fellow children’s entertainers as an expert with the youngest guests. All children will enjoy her show. For the younger children there is a special show with singing and dancing. Children and adults with special needs will warm to Julie's easy style instantly. For the older and more energetic guests Auntie Julie enjoys teaching circus skills. Learn to juggle, spin plates and throw diablo. This can form part of a birthday party but can also be used by Rainbows, Brownies, Guides, Beavers, Cub and Scout groups for their circus and entertainer badges. 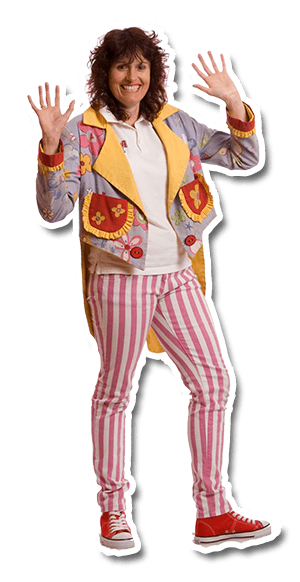 Auntie Julie is also known as Julie Michelle Carpenter (her official name with Equity), a parlour and stage magician. At show time she can become an officer from the American Forces for a look back at life in the 1940’s, or simply entertain you with her own style of wit and charm. Julie used to be a police officer and brings her stories from the streets of Pinner, Northwood, Ruislip and Ealing together with her magic to form a one hour lecture/magic show for retirement groups. She is popular with the U3A, Townswomen’s Guilds and the WI. Just a quickie to say a huge thanks for all your fantastic efforts at the party yesterday. You were totally brilliant and everyone commented on that and how great the show was and how much the kids all loved it. I've had so many emails today all saying how fabulous it was and how impressive you were. Just wanted to say thanks for that and to let you know. Look forward to seeing you again at the next! We had Aunty Julie for my daughter's 3rd birthday party at the weekend and she really is incredible! Somehow she remembers all the kids's names which is so impressive and so nice, as it really makes it personal. To keep a group of 3 year olds entertained would be an impossible job - but Aunty Julie proved me wrong! They were all mesmerised, staring open-mouthed at her magic and awesome games and tricks. There were also some older kids there (5-7 year olds), who were also equally enthralled. I love how she got everyone involved. My daughter can sometimes be shy around strangers but she was totally at ease with Aunty Julie. Another fantastic party thanks to Auntie Julie! My daughter had Auntie Julie for her 4th birthday party and wanted Auntie Julie back again at her 5th, and it was a great success again. My daughter and her friends (about 18 in total) were totally captivated for the whole time and thoroughly enjoyed it.The party felt under control for the whole time, which took the stress away from me and meant I actually enjoyed it too. I've had lots of comments since from the other parents saying what a great time their child had. We had Auntie Julie for our 5 year old twins birthday and we had 35 children at the party. She was absolutely amazing, she had memorized their names within the first 10 minutes, she kept all of them engaged throughout the party and I have never heard them laugh so much. The parents had a lot of fun too. I would highly recommend Auntie Julie and will definitely use her again. Thank you so much Julie, you made the party totally stress free! Just wanted to say a big thank you for the fantastic entertainment you provided just over a week ago. Melody was hooked and has not stopped talking about it! I have to say all the testimonials are spot on and you put a smile on all of our faces...even the shy dads in the corners of the room! In fact one of the dads that regularly comes to these parties always brings the paper, dumps his son in front of the entertainment, doesn't speak to anyone and just reads the paper for most of the parties he attends. I have to say Julie, at our party he did not even glance at his newspaper once and this was credit to you. Thank you again, you truly were brilliant. A day out at Great Ormond Street Hospital I had the pleasure of entertaining two little girls today at Great Ormond Street Hospital. Their mums put a short video on my facebook page. The girls were amazing. I did a little show for them, then came back later to tell them a story.